32 years old. What a champ! RIP Gulch. RIP Gulch. Thanks for the memories. Some more videos of Gulch's races compiled by Twin Spires. "As Leroy Jolley, who was Gulch's first trainer, once said, 'Gulch must be the toughest horse who ever lived,' and he was," noted Old Friends' Blowen. Gulch has been one of my favorites since he hit the track, so this one is particularly sad for me. Every time I go to Kentucky, I make a point of stopping at Old Friends just to see him. The last few years he's gone from full carrots to shredded carrots, but that was about the only sign of his age--he looked great in November when we stopped by during Breeders' Cup. Sad that he's gone, but he had quite a life--successful career at the track, at stud at Lane's End for his entire stallion career, and at Old Friends doing whatever he felt like doing each and every day since '09. RIP, big guy. BlindLucky wrote: Gulch has been one of my favorites since he hit the track, so this one is particularly sad for me. Every time I go to Kentucky, I make a point of stopping at Old Friends just to see him. The last few years he's gone from full carrots to shredded carrots, but that was about the only sign of his age--he looked great in November when we stopped by during Breeders' Cup. Well said. RIP Gulch and condolences to all at Old Friends. Flick last week and now Gulch, how sad. Kingmambo was euthanized Tuesday at William S. Farish’s Lane’s End Farm in Versailles, Kentucky, due to the infirmities of old age. He had just turned 26 years of age. He'd been pensioned since 2010, so he has been out the spotlight for a while. He had such a lovely conformation, and has been a positive influence all over the world. King Kamehameha in Japan has become almost as successful as Deep Impact. Not too much makes me cry at my age but this sure did. I have a son of his and kidded myself that I might get to meet Arch some day. 21 isn't old and I thought that breeding season didn't start for him until mid February. I feel terrible for his closest people there. Feel terrible period. There's just something so reverent about the empty stall. 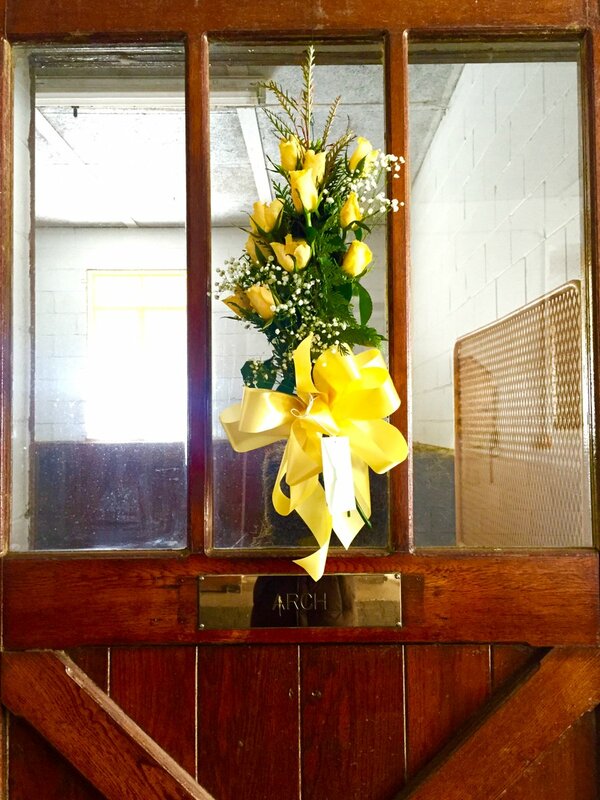 RIP Arch and blessings to those who mourn him. Only 3 weeks into the year, and I'm afraid to open up BloodHorse or Paulick to view the headlines. Been a rough month already. I always valued Arch as probably the best son of Kris S. standing in the US, continuing Roberto's bloodline. Is Blame Arch's best son at stud, or am I missing someone? "The infected horse was 5-year-old mare Another Dollar, who was claimed Jan. 9 after finishing fifth for a $5,000 tag by Karl Broberg from the barn of Roy Marcom Jr. The horse became ill and was humanely euthanized Jan. 13."